If you need a tax accountant Werribee, look no further than the passionate team at Markus Mobile Tax Accounting Services. We are the leading mobile accountant service in Melbourne’s western suburbs, providing convenient taxation services to families & businesses! People today lead extremely busy lifestyles – if you’re not at work, you’re probably thinking about work! We are here to take the pressure off our clients, by offering a mobile service that can come to your door! This means you can spend an extra hour at home or work opposed to sitting in standstill traffic! No matter where you are in Melbourne’s western suburbs, MM Tax Accounting can bring our service to you. 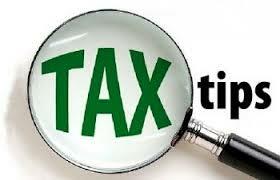 We will work on your accounts and tax returns to make the tax compliance process painless for you. Not everyone gets excited about tax; we get it. Call our tax accountant Werribee to do it all for you! Owner Markus is a certified tax accountant Werribee, with nearly a decade of industry experience under his belt! His various roles have seen him work in large multinational firms and medium sized business. While this gave him invaluable skills as a tax accountant Werribee, he wanted to operate at a smaller level to spend more time with his clients, and ensure their exact taxation needs were met. Markus is a registered tax agent, a Certified Public Accountant (CPA), and an FBAA accredited mortgage broker. He is dedicated to tailoring his service to every client. MM Tax Accounting’s mobile service enables Markus to visit at a time that is convenient for you! You don’t have to schedule an appointment while factoring in travel time or picking the kids up from school. We will come straight to your home or office when you are going to be there anyway! Our tax accountant Werribee service provides tax return services for individuals, sole traders, partnerships, companies and trusts. We can help you to minimise your income tax liability through completing comprehensive tax compliance. There is a lot of negative stigma surrounding the Australian Taxation Office (ATO). The team at Markus Mobile Tax Accounting Services will gladly liaise with the ATO on your behalf, to ensure you achieve the best possible return. Planning for tax and tax minimisation are our specialties. We can consult with you to devise a plan that is best suited to your business structure. Our service gives individuals and business owners a chance to focus on other important aspects of their life. While you cannot escape taxation laws, you can avoid the associated hassles with the right tax accountant Werribee on your side. If you need more information about any of our services, please call today! Markus Mobile Tax Accounting Service is the most trusted mobile tax accountant Werribee as to offer. Our dedication to client satisfaction and convenience is what really sets us apart.